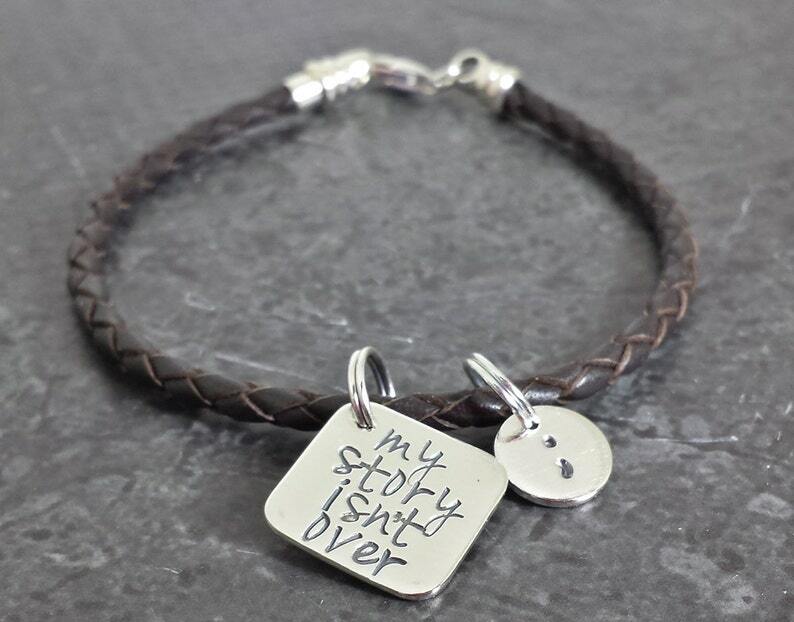 Our hand stamped sterling silver and Frolic braided leather bracelet is stamped with "My Story Isn't Over Yet" on a sterling square and a tiny round disc stamped with a semicolon representing love and hope for those who are struggling with suicide, depression, addiction and self-injury. 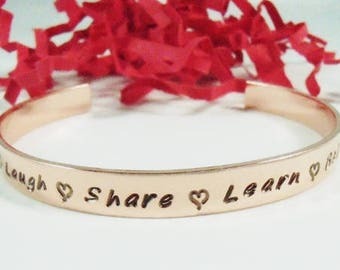 Bracelet is made with genuine leather and sterling silver clasp in your choice of color. Leather bracelet is made with 3mm braided leather and sterling silver lobster clasp. Overall length is 7 1/2 inches. Extender chain is available for an adjustable size up to 9 inches.